C&C California offers an extra 85% off all orders with coupon code CC85OFF. Click here shop for Women's dress, starting from $36 after coupon. Shipping is a flat $5; free shipping on $99+. 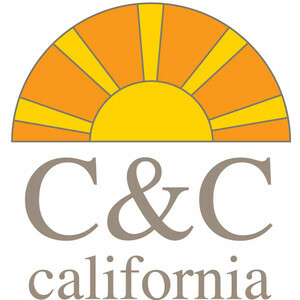 C&C California offers an Extra 20% Off C&C California Summer Clearance Sale via coupon code "CCEMAIL". C&C California offers an Extra 50% Off Final Clearance Items. Discount automatically applied. Eligible items are as marked, price shown automatically in cart. C&C California offers an Extra 50% OFF Sale items via coupon code "CCAFF50SALE". C&C California offers 40% Off Full Priced-Items + 50% Off Sale Items on Cyber Monday Sale. Free shipping on orders of $99. C&C California offers Extra 60% Off Clearance Items, no code needed. C&C California offers its C&C California Women's Lace Slub Tie Back Dress in Royal Blue for an in-cart price of $16 with $5 for shipping. C&C California offers its C&C California Women's Shirred Asymmetric Tank Dress in Ash Heather Grey or Solar Red for an in-cart price of $22.49 with $5 for shipping. C&C California offers Extra 50% Off Clearance Items, no code needed. C&C California offers the C&C California Women's Lace Slub Tie Back Dress in Royal Blue or Black for $39.99. In-cart, it drops to $19.99 with $5 for shipping. C&C California offers the C&C California Women's Classic Tank Dress in Faded Glare, Wisteria, or Faded A List for $20.99 via coupon code "CCCL40" with $5 for shipping. C&C California offers an extra 50% off clearance items via coupon code CCCL50. Shipping costs a flat $5, or free shipping on orders over $99. C&C California offers extra 50% off sale items via coupon code "CC50CL"
C&C California offers Extra 50% off sale styles or 30% off regular price items with code CCMEMDY. Shipping is $5 or free on orders over $99.